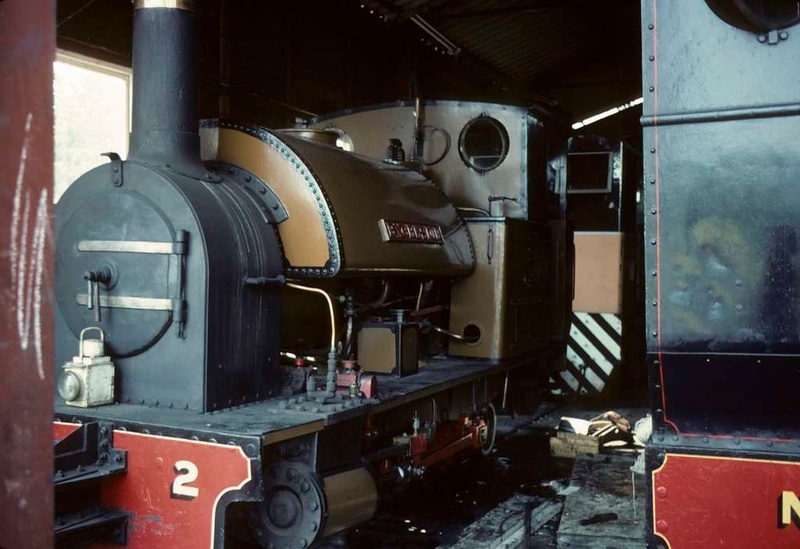 No 2 Excelsior, Whipsnade & Umfolozi Railway, 25 July 1976. Kerr Stuart 0-4-2ST 1049 / 1908. Like Superior, Excelsior had been built for the Bowater's Paper railway at Sittingbourne and moved to Whipsnade in 1970, after it had closed. It is still at Whipsnade in 2018. The other locos are unidentified. Photo by Les Tindall.